Puppeteering Captain Busta for Wastebusters. Puppeteer advisor for Assassin's Creed a new film with Michael Fassbender. Puppeteered Scrappz on Mr Maker CBeebies. Out now. Puppeteer and animatronic operate on a show called ABC Bear for Kids TV Vienna. 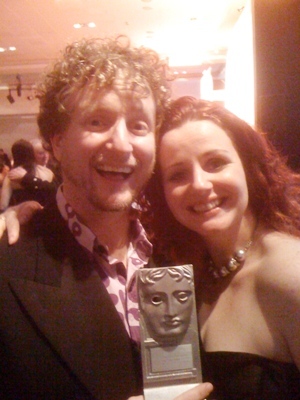 Strange Hill High has been nominated for a BAFTA! Strange Hill combines live action puppetry and animation and is very unlike anything I have ever done before! I assisted Brian Henson on a new puppet based TV game show! What a joy and honor to do a short stint of puppeteering on the new Muppet Movie - The Muppets...Most Wanted! Big City Park's awards now include - Scottish BAFTA, IFTA Award for the best Children’s show, Silver Plaque Hugo TV Award and Cine Gold Eagle Award!